Mariana and Alexis Edelman have the Internet to thank for reuniting them. Some things are just meant to be. Many brides and grooms marvel over coincidences, but none more than Mariana and Alexis Edelman. Alexis left his native Buenos Aires, Argentina, to finish his undergraduate degree in international business at The University of Akron. Life was falling into place in Cleveland, and he landed a marketing job at Project Love. The only thing missing, he believed, was the right woman. On a lark, he logged onto delacole.com, the Argentinean version of Jdate. 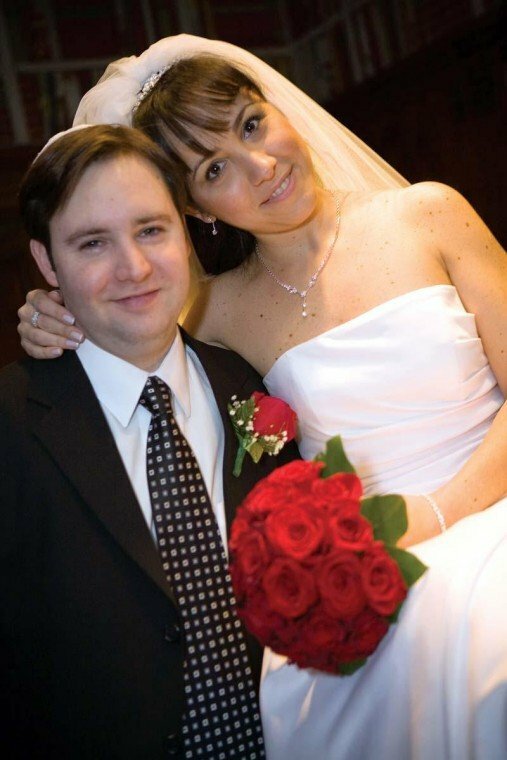 Soon he began “chatting” online with one girl – he in Cleveland, she in Buenos Aires. The real-time conversation was electric, but nothing compared to when they exchanged pictures. They recognized each other immediately. “We were high-school sweethearts,” explains Alexis, now 33. On his next trip home, he made a date with Mariana. “We picked up where we left off,” Mariana says. “We already knew each other, and we just connected.” In some ways, she muses, they are more compatible now than they were as teenagers. Alexis proposed in Spanish with rose petals; Mariana insisted he ask her again in English. The two novios (fiancés) planned a simple civil ceremony with a celebration later. “When our parents found out we were going to have a small ceremony, they said, ‘We have to be there. Get ready; we’re coming,’” says Alexis. Mariana’s parents were also able to fly in for the March 8 ceremony. On Feb. 27, the couple realized their simple ceremony was now a wedding for 50 people. To change from a civil ceremony to a religious one required arranging several important details. Alexis’s boss at Project Love, Stuart Muszynski, belongs to Congregation Shaarey Tikvah, and Rabbi Ed Bernstein of that temple could perform the ceremony in English, with a guest translating. Alexis’s parents revealed they had bought a tallis in Israel 20 years ago, dreaming it would be be part of his chupah someday. Many of the details were falling into place, but they still worried about planning a wedding in just nine days. “There wasn’t time to obsess,” says Susan Muszynski. She took Mariana, a graphic designer, shopping for a dress and found one within about half an hour. No alterations were needed except the hem. “The thing is, I did 800 wedding albums for other brides so I know what I like,” says the bride. A friend offered to sponsor the wedding at Oakwood Country Club, and they made other decisions quickly. The musician, however, they wanted to meet. “We’ve never been to an American wedding before,” says Alexis. 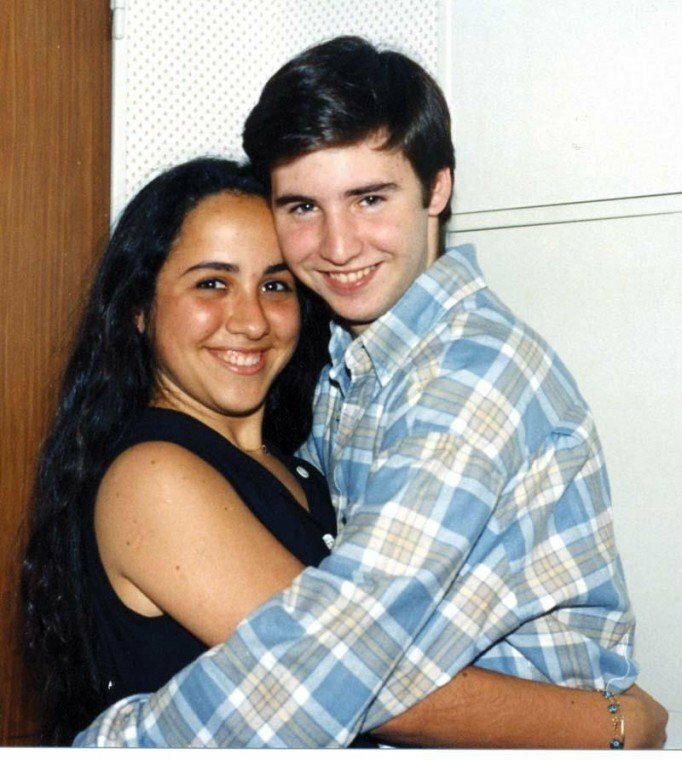 When Mark Feiman played “Erev Shel Shoshanim” (night of roses), the couple recognized the song. Feiman knew some of the traditional Jewish music they requested, too. Later that week, Mariana and Alexis were picking up aunts, uncles and cousins at the airport. Everyone made it except Mariana’s siblings and the grandmothers who are too old to travel. Echoing Alexis’s proposal, red roses were everywhere at the ceremony and reception. Every detail of the elegant wedding looked professional, down to the flower girls in red and white from a previous family wedding. What's your favorite matzah topping?